“Mothers and Ships” is an exhibition presenting godmothers of Polish ships, organized in the hold of SS Sołdek, a museum ship permanently docked on Mołtawa by the National Maritime Museum in Gdańsk. We have been asked to design the exhibition catalogue. It has been divided into two parts. The first part presents rituals associated with a ship christening ceremony. We also get to know several godmothers. The second part is about the ships. 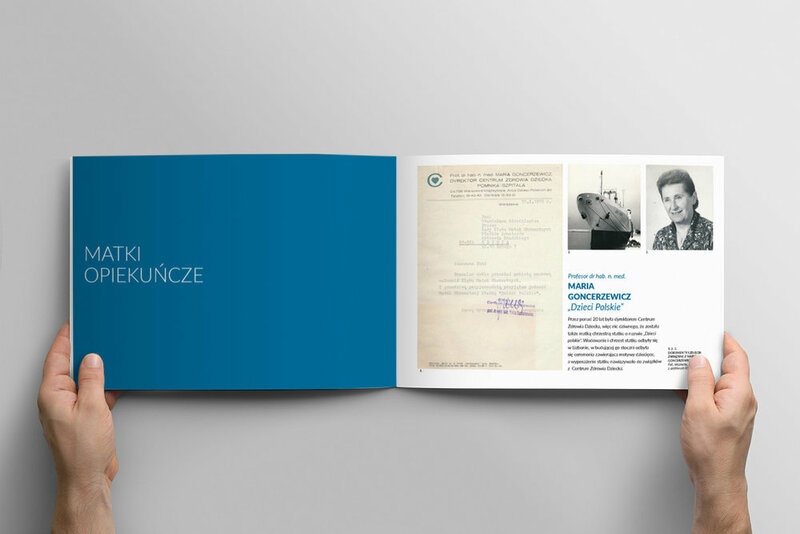 A horizontal format refers to commemorative books which are kept in the archives of Godmothers’ Association and contain various documents, photographs and other memorabilia of mothers and their “children”. A large part of exhibited items, as well as items in the catalogue, comes from those archives.